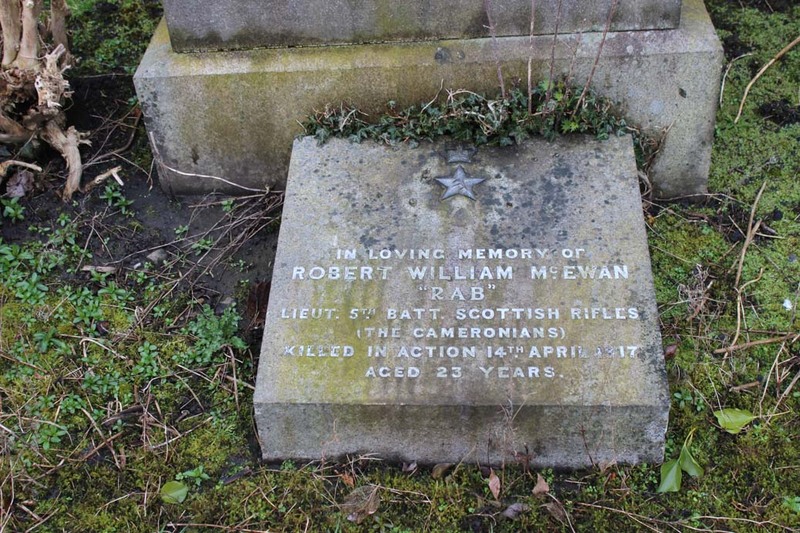 Like a number of our casualties, McEwan had a military background in so far as his father was colonel of the 1st Lanarkshire Rifle Volunteers which became the 5th Battalion of the Cameronians in 1908 when the volunteers were converted into the Territorial Force. McEwan also served in the Kelvinside Academy Officer Taining Corps attaining the rank of Cadet Corporal. 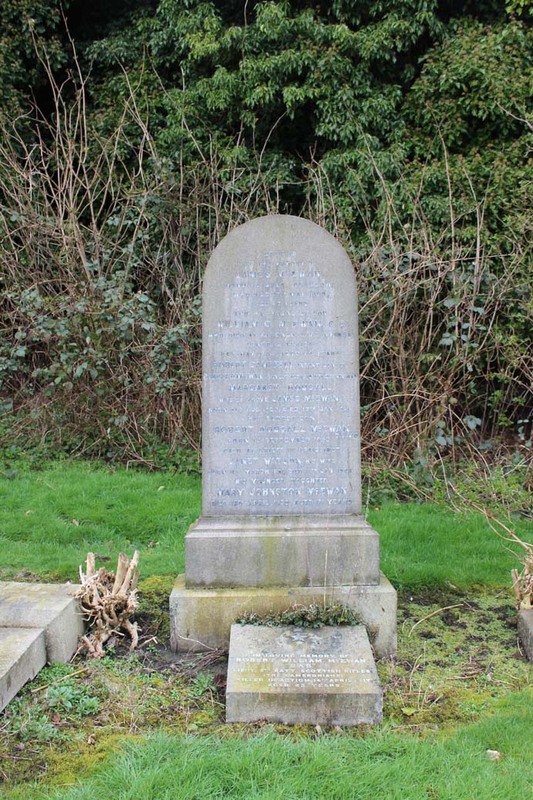 He was commissioned into the 5th Battalion Cameronians as a Second Lieutenant in November 1914 and joined the battalion in France in January 1915. His promotion to Lieutenant followed in April 1916 and in May he was wounded while serving on the Bethune front. It is not known how seriously he was wounded and whether it resulted it in convalescence at home though there is a note in the Battalion war diary that he returned to the Battalion in February 1917. 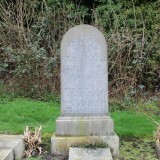 Served in ‘D’ company under Kenneth Ashby Brown and died in the same engagement. Burial Wancourt British Cemetery, VI. J. 20. 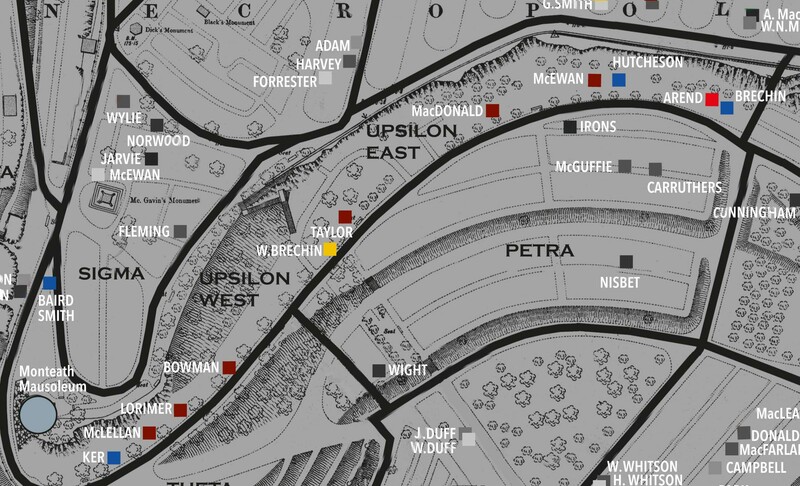 McEwan was originally buried close to where he fell. In November 1919 his body was retrieved from his temporary grave by a clearance team and moved to Wancourt British Cemetery. It was fortunate that the cross on the temporary grave was still legible permitting a positive identification to be made. 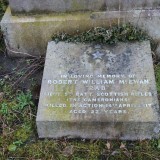 Son of Robert Dougall McEwan, of 9 Eglinton Drive, Kelvinside, Glasgow. CWGC and the Scottish National War Memorial give his rank as Captain but the family stone in the Necropolis and the records held by the Cameronians Museum both give his rank as Lieutenant. Much of the information on which this profile is based is drawn from various internet sources which are listed below. 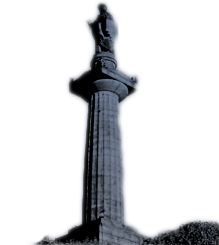 The Friends of Glasgow Necropolis also wish to make full acknowledgement and thanks for the permitted use of any information or images generously supplied specifically for exhibition, publication or display in connection with The Roll of Honour and accompanying profiles to The Cameronians (Scottish Rifles) Museum, Hamilton, Ancestry, and Find my past.